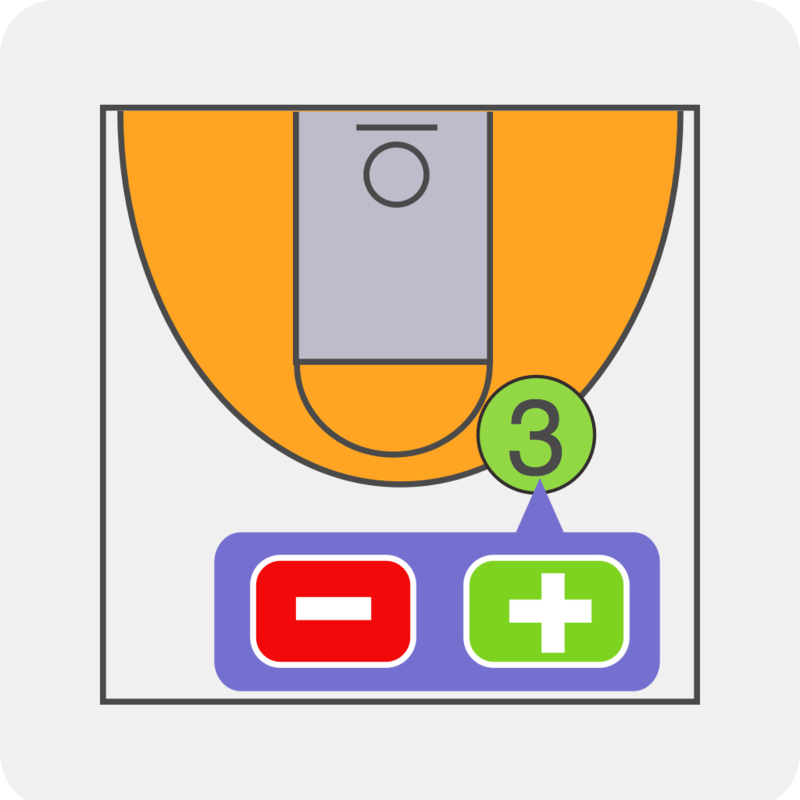 The app supports recording jump balls with several options. To do this go to the collect data screen and select a player (or team). Once a player or team is selected, the JMP (Jump) control is visible by the direction indicator in the upper part of the screen. Select the JMP to see a list of options. These options allow you to record both sides of a jump ball event. You can select one player for created jump and one for allowed jump for example.